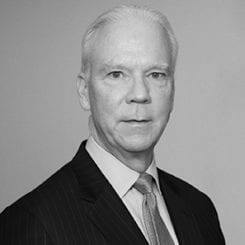 Bob is president of Clark Enterprises, Inc. and, in his capacity as managing director of CNF Investments, oversees management of its investment portfolio. He also serves on the boards of Brown Advisory, Inc., Svelte Medical Systems, Vascular Therapies, Verax BioMedical and WP Carey, Inc. He is a trustee of the A. James & Alice B. Clark Foundation. Bob is also a member of the Board of Advisors of Georgetown University’s McDonough School of Business. He was formerly chairman of the board of directors of Washington, D.C.’s Federal City Council, Martek Biosciences Corporation (NASDAQ: MATK) and Sagent Pharmaceuticals (NASDAQ: SGNT). Bob also was treasurer, secretary and a member of the board of directors of the Baltimore Orioles. © 2017, Clark Enterprises, Inc.